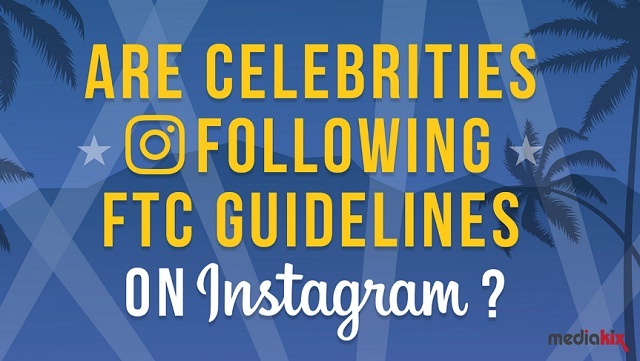 Are Celebrities Following FTC Guidelines on Instagram #infographic ~ Visualistan '+g+"
As influencers and celebrities post, filter, and hashtag their way to fame and fortune, brands are working with them to reach and communicate with consumers. Influencer marketing on Instagram alone is now a massive $1 billion industry. In April 2017, the FTC sent notices to over 90 celebrities, brands, and influencers reminding them of the regulations. Celebrities and influencers on Instagram have been known to neglect proper disclosures on paid posts, and we wanted to know the extent of the problem. Over the course of one month, we assessed the top 50 celebrities on Instagram to find that just 7% may be in compliance with the FTC's guidelines and regulations.